Born in London, Malcolm was brought up in Calverton village. Indeed his mother, Myrtle, lived there in her nineties. His late father, David, was a prominent member of the Calverton community, in fact one building 'Nabarro Court' is named after him. He spent much of his life in the East Midlands, where he built his career around a passion and vision for orchestral provision in the area. Following a successful start in 1974 he founded the 'Nottingham Philharmonic Orchestra' as the 'Nottingham Sinfonietta', with the aim of providing a platform for local musicians to perform orchestral music to the highest standards they could achieve. The orchestra was soon performing regularly at the Albert Hall, Nottingham, and working with soloists of international calibre. 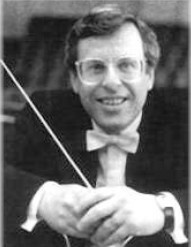 Then in 1982 he founded the East of England Orchestra, which under his guidance as Artistic Director established itself as one of the U.K's most distinguished regional orchestra's. Indeed this orchestra is now known as VIVA and is the only professional chamber orchestra in the East Midlands. Providing classical concerts and outreach activities that make live orchestral music accessible to all. Malcolm's commitment to new music, in addition to the traditional classical repertoire, led to the commissioning and recording of a number of new works, for labels including ASV and Collins Classics, as well as for BBC3. Malcolm Nabarro began his career as a trumpeter and composer; experience which has been invaluable as he has made his way to the forefront of today's new breed of conductors. As Artistic Director of the EOEO, his work is notable for its freshness of insight and his championing of rarely heard music.